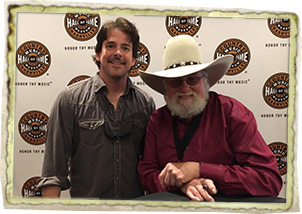 Got to meet and chat with Charlie Daniels Band ... What a super nice & humble guy... and one of my all time favorites! Thank you CDB! Heading up to The Friars Club, NYC. 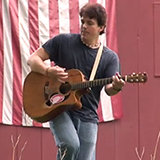 a singer/songwriter with a rich voice and tunes with strong hooks that are setting him apart on the country music scene. You'll hear two songs off his current CD in Major Motion Pictures... including a bar scene with Renee Zellweger in the Universal Pictures Film One True Thing. 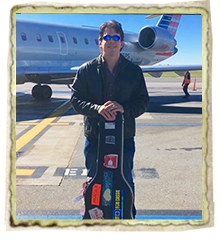 Doug is a seasoned live performer, having opened for acts like Gregg Allman, Edwin McCain, John Entwistle of The Who, Jewel, The Bacon Brothers and many more. Thanks for taking a listen! Hey everybody! Thanks for visiting my site and browsing around. Hey Guys… Happy New Year…Hope you’re all doing well. Things are getting busier with each new month down here in Nashville and I’m happy to announce that we’ll be releasing CD #4 later this month. See Doug playing His Song "Blue Room" in the Bar Scene with Renee Zellweger in the Universal Pictures Film One True Thing. (Also starring Meryl Streep and William Hurt). 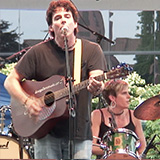 Lion's Gate Entertainment chose "One Room Flat" the 2nd song off Doug's current CD... to support the soundtrack to A Reason to Believe alongside tunes from: 10,000 Maniacs, R.E.M., Violent Femmes, Blind Melon and Concrete Blonde. 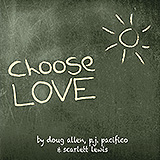 "Choose Love." This song started out as just a guitar part that I kept playing over and over again last February… so I brought it to my friend PJ around the time of the winter olympics, and he said “it sounds anthemic and big” like these winter games... let’s write it about something BIG. "Somebody Like You" (Keith Urban Cover). I’ve loved Keith Urban’s guitar playing form the first time I heard it in my cousin’s kitchen up in Albany, NY years ago… : ) They were nuts for him and I cans see why. He plays lead guitar with the best feel in country music I think. It’s a really fun song to play, with that ascending riff… hope ya like it! We loved playing it. 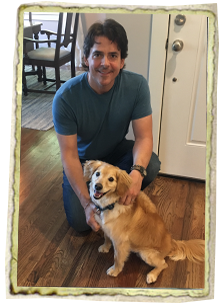 Me and my co-star “Linus” on a recent trucking commercial... woof!